> 60% pureNNE protein was purified using Ion-exchange chromatography and gel-filtration. 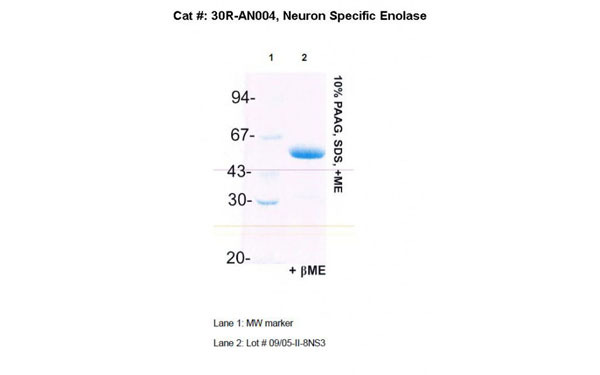 Does not react with MAb to NSE in ELISA and Western blot. 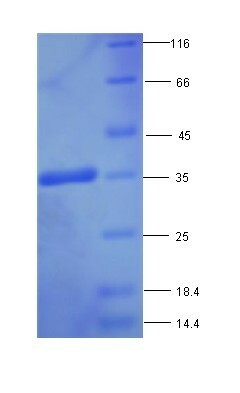 > 95% by SDS-PAGENSE protein was purified using Ion-exchange chromatography and gel-filtration.